Overclocking is shrouded in mystery, which only makes it more appealing to PC users who want to push their machines that extra step further. But, as we explain in detail in this article, there’s actually nothing mysterious about overclocking at all! In fact, overclocking is an excellent alternative to costly CPU upgrades, which are often possible only with a new motherboard and RAM. Don’t worry: the days when CPU overclocking could easily set your entire house on fire are long gone. Today, overclocking is not only dead-simple but also relatively safe. We say relatively because it still involves pushing components beyond their specifications, which may lead to stability issues and even overheating. Overclocking can also void your warranty, especially if you’ve bought your PC as a complete system from a dealer, instead of building it yourself from individual hardware components. You should also know that not all processors can be overclocked. To enjoy problem-free overclocking, focus your attention on Intel’s K-series and AMD’s Ryzen CPUs. It also greatly helps to have a motherboard that’s been designed with overclocking in mind. Even with the right CPU and motherboard, you may find that your CPU lags behind what others experience simply because not all processors are born equal. Of course, you may also get lucky and achieve spectacular results. 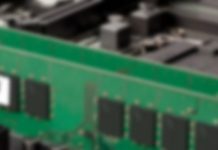 In this article, we don’t cover CPU voltage and its impact on overclocking because you can easily kill your CPU by increasing CPU voltage too much. Besides, it’s not safe to increase CPU voltage without a powerful aftermarket CPU cooler that can handle the extra heat, and the cost of such cooler somewhat defeats the purpose of overclocking. That said, it doesn’t hurt to get a beefy CPU cooler even if you don’t intent to go beyond the stock voltage simply because it will be quieter and likely increase the lifespan of your CPU. 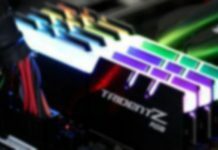 CPU-Z: This freeware software utility gathers all sorts of CPU-related information, including the realtime multiplier and clock speeds. It also displays processor name and number, codename, cache levels, memory type, size, timings, and module specifications (SPD), just to give you a few examples of why you won’t find an overclocker that doesn’t use CPU-Z. Real Temp: During overclocking, it’s critical that you keep an eye on your CPU temperature to prevent overheating. Real Temp is a temperature monitoring tool designed for all Intel single Core, Intel Dual Core, Intel Quad Core & Core i7 processors. You can individually calibrate it for each core of your CPU to get the most accurate results possible, and it has a host of other features that make it an easy choice for temperature monitoring. A good alternative to Real Temp for AMD processors is Open Hardware Monitor, which is an open source software that monitors temperature fan speeds, sensors, voltages, load & even a clock speeds of a computer. Cinebench: Utilizing a multi-threaded rendering test to gauge your processor’s performance, Cinebench is a real-world cross platform test suite based on MAXON’s award-winning animation software Cinema 4D. Cinebench includes two different test scenarios—one for your CPU and one for your GPU—and it also provides a command line option, allowing users to run automated test procedures. You might be surprised just how many people fail at overclocking because they skip this step. 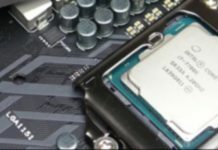 Unless your computer is 100 percent stable, you should never attempt to increase its performance by overclocking. We’ve already mentioned Cinebench as an excellent cross platform test suite that evaluates your computer’s performance capabilities, but you can also use stress testing and monitoring program OCCT or system stability checker Prime95. When testing the stability of your system, you want to carefully monitor the temperature of your CPU and other components. It’s generally recommended that CPUs shouldn’t exceed 80 degrees Celsius for longer periods of times. If your CPU idles at around 60 degrees Celsius and exceeds 80 degrees Celsius under load, you should get a better CPU and take other steps to maximize air flow through your case. Your CPU runs at a certain clock speed, which is similar to the horsepower of a car. If you take two identical CPUs and overclock one to run at, let’s say, 3 GHz instead of 2.5 GHz, you can expect frame rates in games to go up and your system to become more responsive. Some motherboards today come with various self-overclocking features that automate CPU overclocking and reduce it to a single mouse click. Such features are, however, highly unreliable, and we recommend you take the manual approach instead by increasing your CPU multiplier. The CPU multiplier sets the ratio of an internal CPU clock rate to the externally supplied clock. So, if the internal CPU clock rate of your CPU is 100 MHz, you would need to set the CPU multiplier to 30 to achieve 3 GHz. In practice, changing your CPU multiplier is just a matter of changing a single BIOS setting one step at a time. In most cases, the setting in question will be called “CPU Clock Ration,” and you should find it in the Advanced CPU Core Settings section of your BIOS. Because the user interface of your BIOS will depend on the make and model of your motherboard, we recommend you look in the manual that came with your motherboard. If you would rather avoid booting to BIOS altogether, you can use either the AMD Ryzen Master application or the Intel Extreme Tuning Utility to overclock your CPU from the comfort of the Windows operating system. After each increase of the CPU multiplier, you should test if your machine boots and stress-test its stability. You’ll know when you’ve reached your CPU’s limits when you see the infamous BSOD or encounter instability during benchmarking. If you really overdo it, your PC may even refuse to boot, but you can always go back to the stock CPU multiplier by pressing a dedicated button on your motherboard or temporarily removing the CMOS battery. As you can see, overclocking is really pretty simple, and there’s no reason to be afraid of it. Unless you start messing with your CPU voltage, the worst thing that can happen is that your machine will refuse to boot. With a little bit of patience, you can push your CPU to the next level and enjoy measurably better gaming and application performance without spending any money at all.